The ex-govvie has a special place in the hearts of Canberrans. While governments built housing for public servants and others coming to Canberra from the 1920s, for many of us, those 1960s and 70s red brick cottages are the epitome of the govvie house. 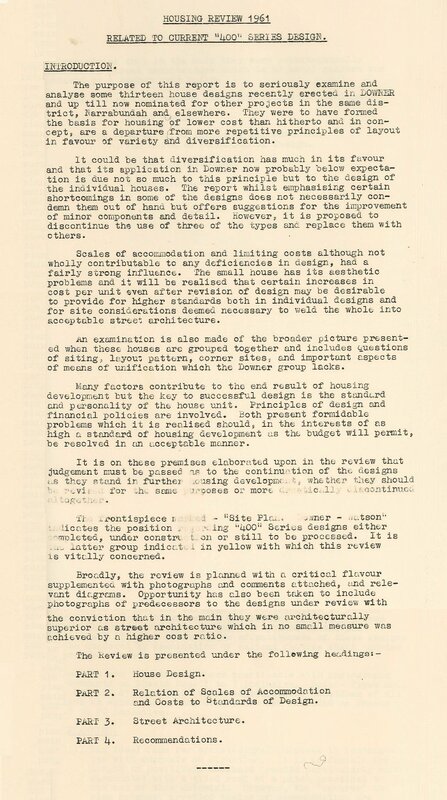 The publication 'Housing Review 1961 - 400 Series Designs' is this month’s ArchivesACT Find of the Month. After the Second World War Canberra experienced massive population growth. During the 1960s, the population more than doubled, growing from 50,000 in 1960 to around 140,000 in 1970. To meet the increased demand for housing the Department of Works needed to build plenty of lower cost housing, and fast. But Canberra is also the ‘City Beautiful’, and design was also important. 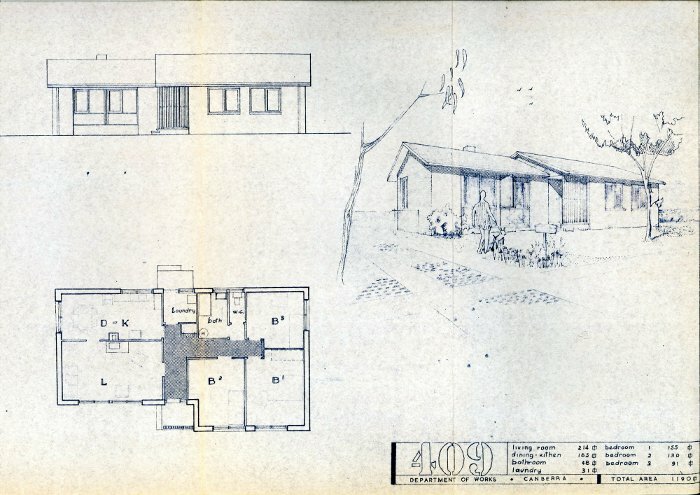 The “400” series included a range of designs, and was intended to allow greater diversity among the houses being built, a departure from the more repetitive layouts that were previously favoured. 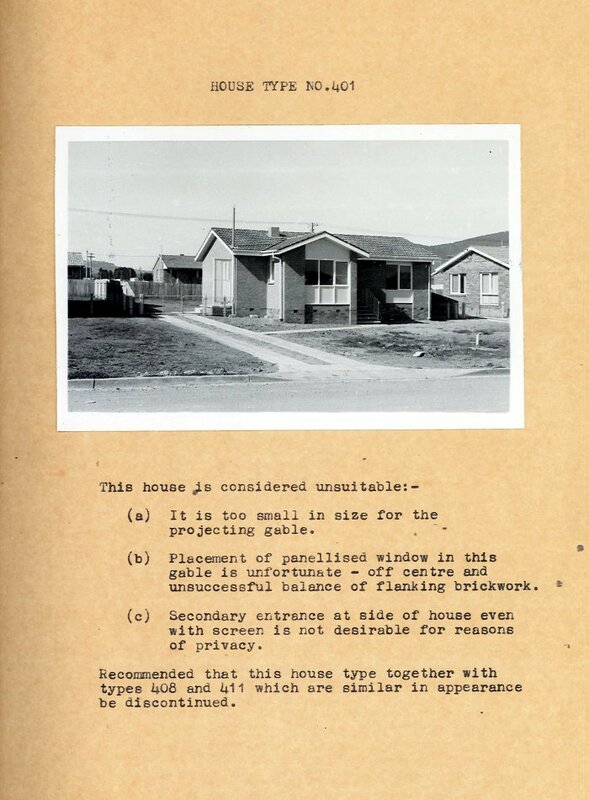 In 1961 the Department of Works reviewed 13 recently built “400” series houses in Downer to assess their design and layout. Critical analysis of the aesthetics of each design was carried out “to establish whether the “400” Series designs are suitable to Garden City architecture”. Overall, the review found that there was much merit in the 400 series houses. Some designs, though, were less pleasing than others. The assessment of the 401 design decided that the off centre placement of the gable window was “unfortunate”, and the house’s secondary side entrance was “not desirable for reasons of privacy”. The 404 and 409 designs fared better. The reviewers noted that these two designs worked particularly well together and, sited carefully, could “afford just that contrast to provide interest”. 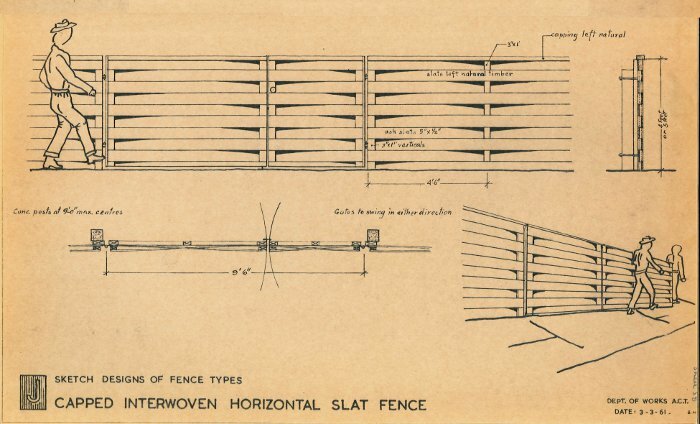 The review considered house plans, designs for adjoining fences and walls as well as amendments to NCDC block plans. 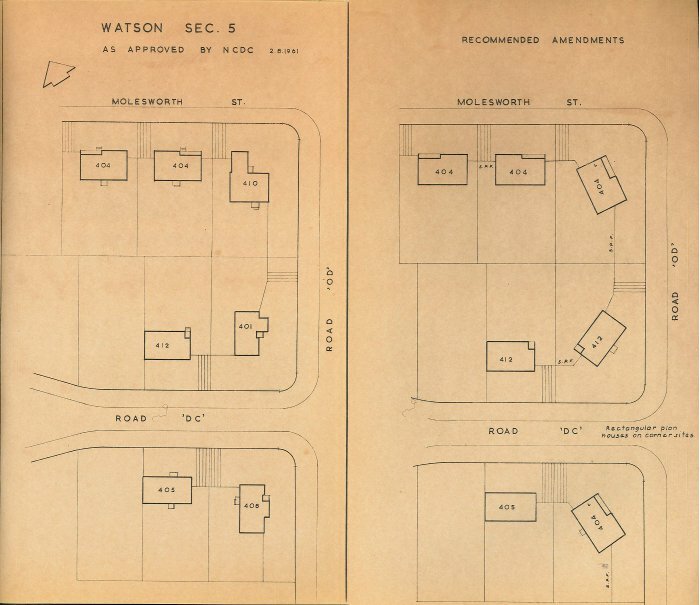 The Department of Works was interested not only in improving the design of individual houses, but also in the broader picture of how these houses looked when grouped together. It included “questions of siting, layout pattern, corner sites and important aspects of means of unification”. The review concluded that three of the original designs, Types 401, 408 and 411, be omitted and replaced with alternatives. 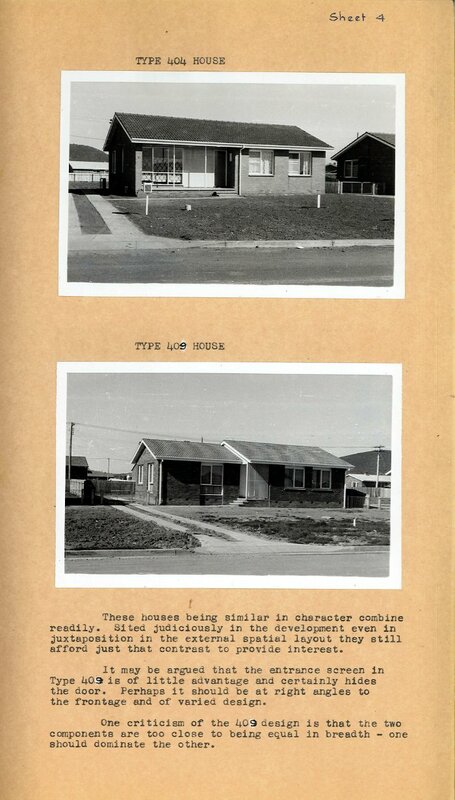 Many of the “400” designs remained or were changed only slightly, and the “400” Series formed the basis for Government Housing in Canberra over the following decade and more. It proved a strong foundation on which to build our affection for the glorious Canberra govvie.